Besides creating a perfectly spread sound , the main priority of The Club Reflex owners was to keep the speakers of the floor and out of sight, in order to create an "open dancefloor". The subs were replaced by an 8 meter long XLNT "bassbeam" (with 8 x 18" speakers), suspended above the lighting rig, and which get's rid of all the "sub corners". 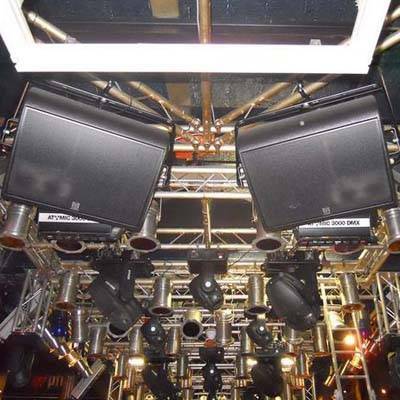 The top cabinets were replaced by Martin Audio's all horn H3+, flown from the ceiling, virtually out of sight in each corner of the main dance floor. Since the power from the main floor reflects on the entire space of the club, 30 Martin Audio F8+ full range speakers were strategically positioned on top and below the balconies, to fill in the indirect energy. This results in an equally sounding experience as on the main floor , but can be trimmed per zone from -8db to -2db. - People are now dancing on the balcony- and are able to have a conversation in corners were it was previously impossible due to the sub. In the Toilets, on the terraces, and in the downstairs restaurant 30 C115's were deployed - Martin Audio's most compact but still full-range sounding speaker. 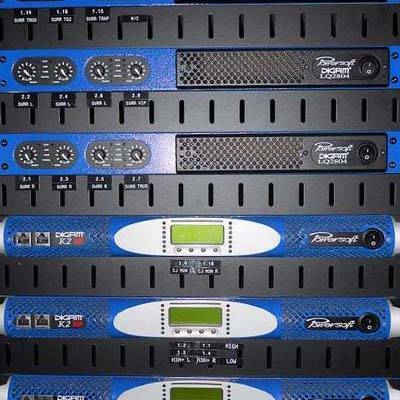 To control the entire sound experience in all different locations 5 Martin Audio Engineer 818's were used. The Engineer's delay, cross and EQ functionality were used to balance the entire system and the virtual sub processor allowed to create a great sounding experience within all musical genres - also through the smaller speakers. And what about the DJ's? They are walking with their head in the clouds thanks to the heavenly Martin Audio LE1500 monitors, suspended at an angle directly above their turntables. ‍XLNT Bassbeam 8 x 18"